According to the Building Performance Institute, moisture is the #1 cause of structural failure. Crawl spaces are common problem areas regarding energy efficiency. Most crawl spaces harbor cold and moist air that is able to infiltrate into the conditioned areas above them. In order for a crawl space to be insulated effectively, you need to use a product that air seals and is a vapor barrier. 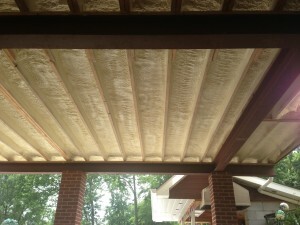 Spray foam insulation is applied directly against the substrate and will bond to it. This application will make dirt, pests, moisture, mold and cold air unable to penetrate your living space. It is the only product that can do this. 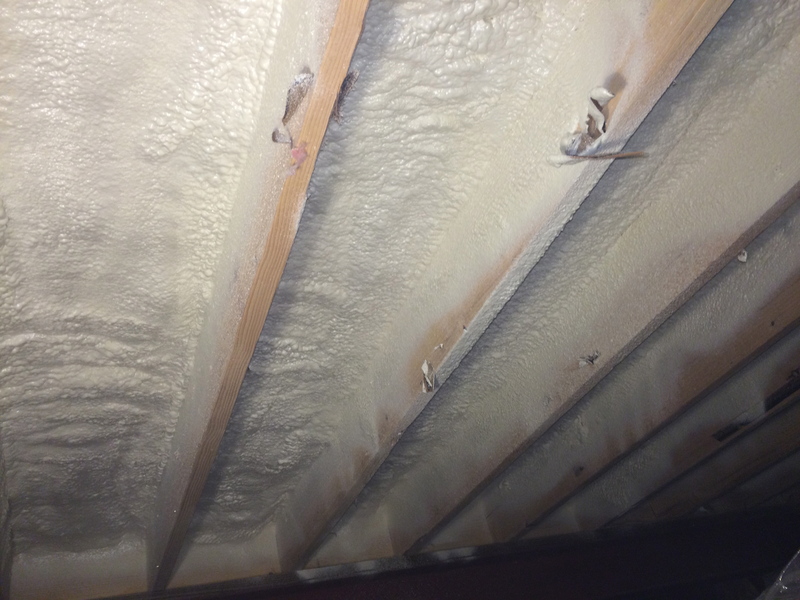 Most people are familiar with fiberglass batting being stapled to the ceiling of the crawlspace. This method is ineffective for a number of reasons. Fiberglass does not air seal. The air from the crawl space is able to go through and around fiberglass. As it sags over time, it will leave bigger gaps and voids for air to flow through at an even faster rate. The Building Performance Institute also states that air movement is the most responsible for moving moisture into a conditioned structure. Moisture in a crawl space must be stopped from entering your home. Fiberglass is incapable of doing this. If you have no insulation in your crawl space or a product that is not an air sealing, vapor barrier, call today to schedule a FREE Energy Evaluation!